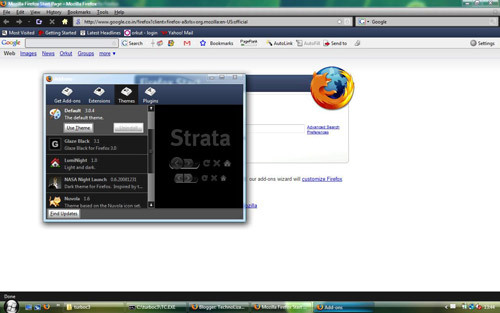 If you like dark colors and you also love to see your favorite Mozilla Firefox browser in dark color, then here are 5 beautiful dark themes for you. Just check them out once. 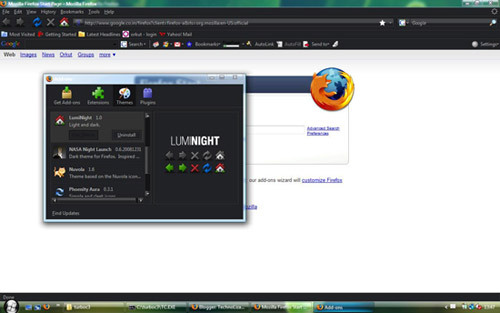 LumiNight 1.0: LumiNight is a modern (dark) theme with colorful & intelligent icons. 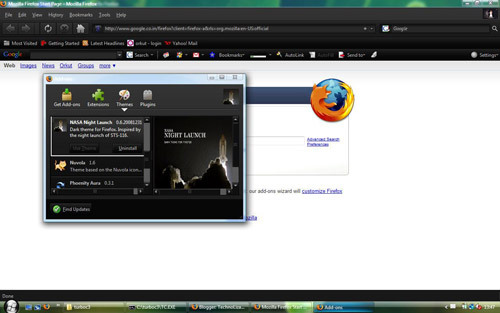 NASA Night Launch 0.6.20081231: It is a dark theme for Firefox and it is inspired by the night launch of STS-116. 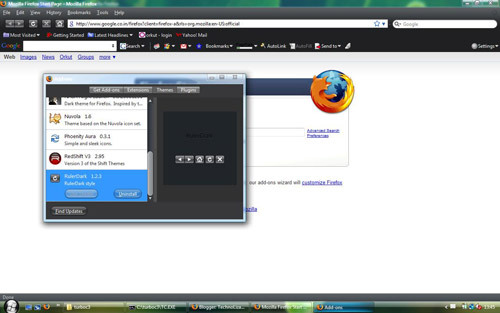 RulerDark 1.2.3: RulerDark is a simple to use and install dark theme for your Firefox browser. 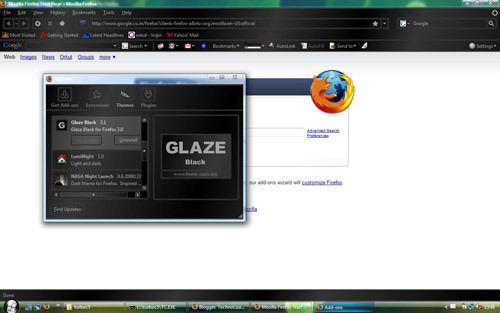 Glaze Black 3.1: A dark, glassy, almost flat theme. Dark Revisited 3.5: This theme is based on Naoto Kusumi’s “rein” theme and includes an image from the “Cavendish” theme and URL bar code from the “Glasser” extension. Hummm !! Nice Find !